Dartington Crystal is one of the most recognisable names in hand-made English crystal, enjoying a well-deserved reputation for exceptional quality, outstanding design and unrivalled elegance. Dartington Crystal began in 1967 in Devon, where much of the range is still hand-made today; combining innovation with style to ensure their glassware will meet the high standards they have become renowned for. Dartington Crystal glassware is specifically shaped to enhance the true flavour and character of beers, wines and spirits to provide the ultimate tasting experience. Dartington’s Wine Master collection is hand-made from lead-free crystal in the Devon factory, which is the last of its kind in the country, by skilled craftsmen who train for 10 years to be able to produce the finest glassware. Every aspect of Wine Master burgundy wine glasses and Wine Master white wine glasses is designed with taste in mind and this is especially true of wine glasses. The tall and slender stem of the glass allows the user to hold it without warming or obscuring the contents. The clarity of the crystal allows the colour and condition of the wine to be clearly represented and interpreted accurately. The bowl of the glass is shaped to offer the perfect proportion and capacity for its intended wine, working to enhance the appearance, aroma and taste. The rim of the glass is incredibly fine and smooth which means the wine can flow easily from the glass to the lips. The Wine Master champagne flutes offer the same properties as the wine glasses, albeit with the benefit of a narrower lip which will keep the all-important bubbles alive from start to finish. Other glasses from Dartington Crystal include glasses designed for spirits such as brandy, port and sherry. Brandy glasses are designed with wide bowls and flat bases, which allows the liquid to be swirled around to release and enliven the aromas much like wine. The brandy glasses features a short stem and can be cradled in the palm to warm the brandy if you desire. Sherry glasses are designed to capture the subtle differences between the many types of sherry. 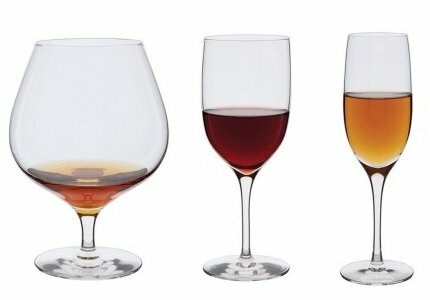 Port glasses benefit from a wide, straight-sided design which allows the contents to breathe, helping you to identify differences in bottle-aged and wood-aged varieties. 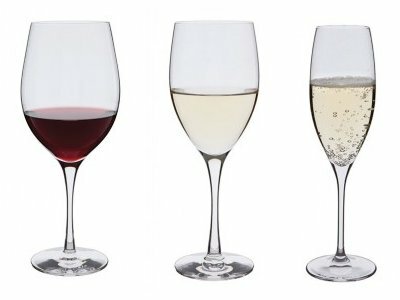 Dartington Crystal’s Wine and Bar Essentials collection features all of the aforementioned wine and spirit glasses along with a few other options which are ideal for serving and enjoying your favourite drinks in. The beer glasses have a tall and narrow body which ensures your beer or lager keeps a good head and it has a short stem to prevent the hands from warming the contents. Tumbler glasses are great for mixed or straight drinks, either on the rocks or straight up. 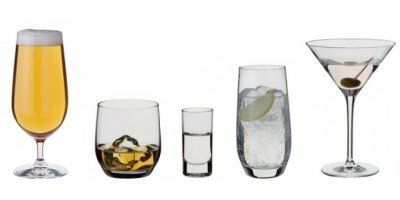 Highball glasses are the perfect way to serve water, soft drinks or cocktails – anything from a sophisticated Gin & Tonic to a spicy Bloody Mary. However, if your chosen tipple is a Martini then you are sure to love the stylish cocktail glass that is just as synonymous with the classic drink as James Bond and his famous phrase. Caring for your Dartington Crystal will ensure it continues to provide enjoyment long into the future. It is important to take a certain element of care when washing your crystal and glassware, avoid exposing your glasses to extreme temperatures and do not stack items inside one another. Dartington’s Wine Master and Essentials ranges are both suitable for dishwasher use, however it is recommended that low temperature cycles are used and the items are stacked carefully to avoid any possible damage. When washing your glasses by hand, use warm and soapy water with a soft cloth as per usual and dry with a cloth or towel holding the glass by the bowl not the stem as this can put undue stress and strain on the glassware, which can result in breakages. Dartington Crystal truly is in a league of its own, offering exquisite products which will serve you well for many years to come. cocktail glasses, Dartington Crystal, mixer glasses, spirit glasses, whiskey tumbler, Wine and Bar Essentials, wine glasses, Wine Master. Bookmark.